Paeonia Nymphaea alba, Nenufar Starflower (Trientalis europaea) Goat's Beard (Geropogon hybridus) - id by Steve D ? This plant comes the closest to the VM. 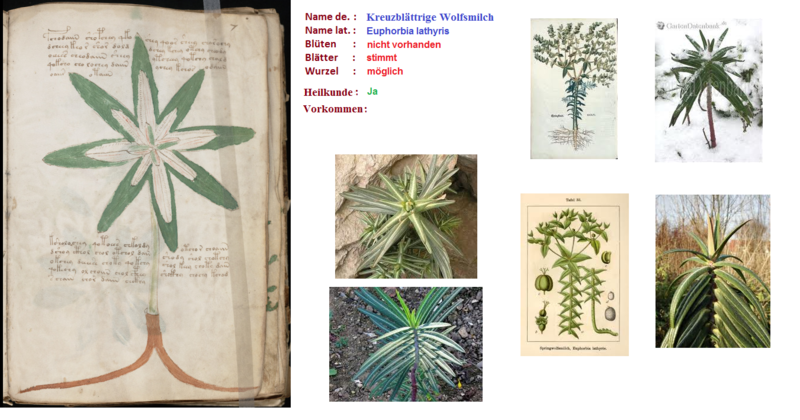 I have shown certain plant on this page. All are home to the Alps. You will also be kept up to date. Also another interesantes is watching. It is worth maybe to look clean. As a side note, the word for lily in a lot of middle eastern languages is some variant of Shousnan (Armenian). Sawsan (Arabic). It’s where we get the name Susan from. Which means lily as well, of course. 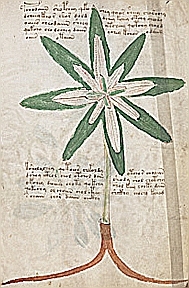 The Georgian name for a particular Pancratium is zghvis shroshani, zghvis meaning sea, and I presume shroshani means lily, but I can’t seem to find it alone in that context, and online translators only translate it to lily in conjunction with zghvis. Anyway, The SECOND word in the VMS text is, as I interpret it using Derek’s alphabet, is SH A B H (V?) O N. Not sure if B+H=V if it’s not ligatured. Anyway, more food for thought. Some sort of Amaryllidoideae? More specifically, a pancratium? I’m not sure if there are any with green leaf like bracts, but I know some galanthus species do. Roots rant quite right for a bulbus plant, but there may be some Amaryllidoideae that have elongated bulbs. Just my amateur opinion.